Garador front doors are some of the best steel front doors available. The Garador Frontguard doors are stylish, secure and highly insulating. Garador front doors are manufactured to ISO 9001. They have also been tested for water tightness under heavy rain, thermal and acoustic insulation, and draughts under heavy winds. The door frame is made from aluminium with a multi chamber system which eliminates thermal bridges for good thermal efficiency. 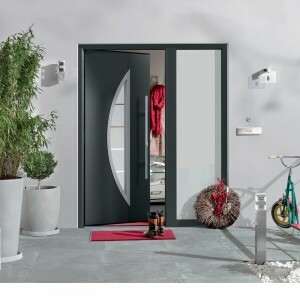 The door leaf is 46mm thick made from double skin steel with a solid urethane foam core. 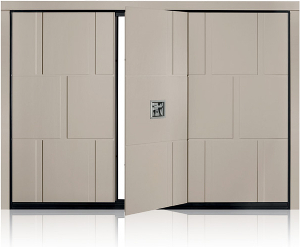 These doors offer excellent insulation values and security. With rising energy costs, thermal efficiency has become more and more important to consumers. 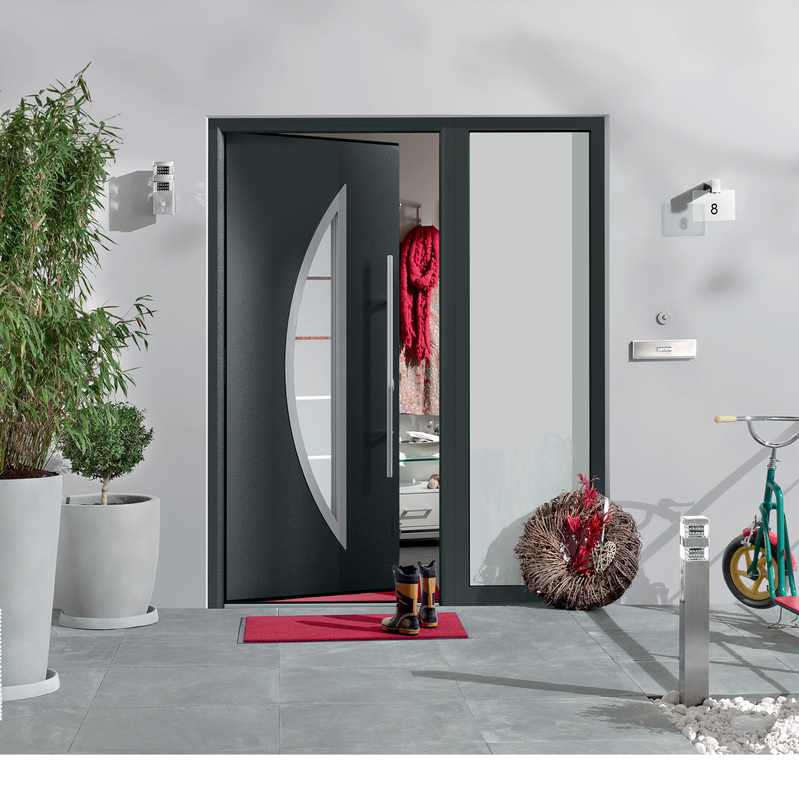 Garador front doors are available with a thermal transmittance as low as U=1.2 W/m2K. This can make a big difference to the temperature inside the house as well as giving you a saving on your bills. Security is often a primary concern when choosing a front door and the FrontGuard does not disappoint here. It includes a double throw locking rod and swing bolts as wells as 3 hinge pins as standard. A Secure by Design optional upgrade is also available on certain models. The upgrade includes a high security cylinder and flag type hinges. Many of the Garador front doors come with glazing. Different glazing designs are available with different doors. In addition to this, side elements are also an option. They will come in a matching style to the door. Garador front doors come as standard in traffic white. There is also a range of 11 RAL colours to choose from and 3 foil laminate options; golden oak, dark oak and the very popular Titan Metallic effect.